Daryl Johnson (Worcester Park, United Kingdom) on 25 March 2010 in Architecture. Very typical Japanese houses. You can see the more modern style on the right side and in the background. 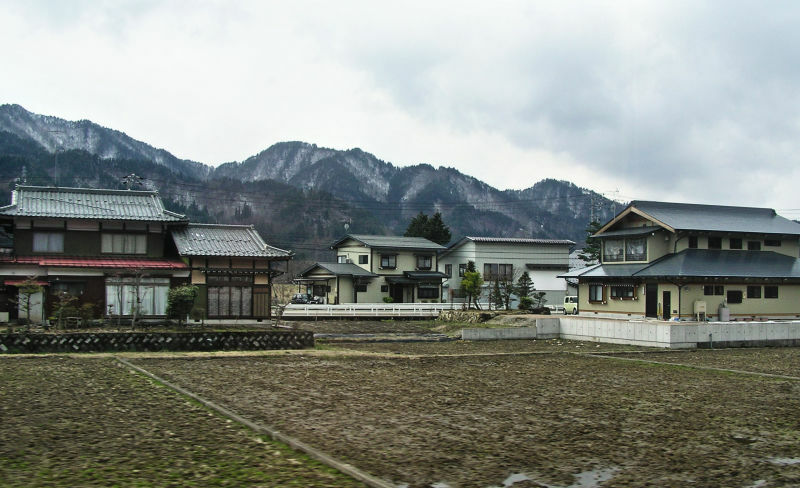 Notice that the houses are surrounded by rice fields; another example of the local small-scale farming typical of Japan. The last shot from the Hida region of Japan... coming soon, Nagoya! I like that they tried and keep the traditional style! Fine capture. A beautiful shot and series from this region. Thank you. The house on the left is more traditional. We can see, from the one on the right, that modern houses are inspired on traditional ones. @António Pires: That's right António; but the one on the left isn't so old I think... Thanks! Modern style tries to make us think that it's an evolution, but I really prefer the old one!! All is coming to be the same architectural in all the world!! This view shows something of a community, the houses look good too in this lovely setting. They have sort of a too perfect model-like appearance. @Twelvebit: I know what you mean. A common Japanese style.